How many times have you been browsing a site, found the perfect item, and looked down to see it promoted in a currency that’s not yours? This happens far more often than it should. Despite payment technologies moving at a more rapid rate than ever, eCommerce stores are still behind on showing local currencies to potential buyers. This leaves prospects wondering whether the item is even aimed at them, whether the company will ship to them, and how much it really costs when translated into their own currency. It might seem like a tiny, insignificant detail, but it can make all the difference. Think about it: the connection between a buyer and a brand exists way before the transaction takes place – it starts as soon as the consumer has first contact with the brand. But what if they get to the checkout and see a currency they’re not familiar with? Well, they’re going to be out of there quickly. By offering local payment options, companies are removing this sticking point and driving more sales. According to a survey by E4X, most online shoppers prefer to pay in their local currency and are actively adverse to paying in another. 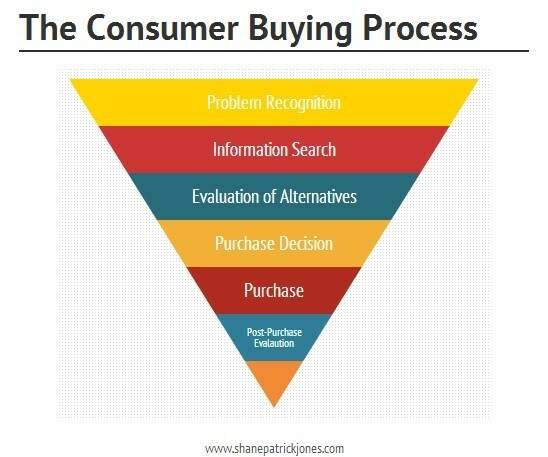 Yet far too many digital businesses aren’t tapping into this. And, when you consider that 69.23% of shopping carts are abandoned, with a large amount of those because of currency issues, it really is time for eCommerce sites to up their game if they want to succeed in going global. In the past two years, we’ve seen events take place that have completely shaken up currency exchange rates (think Brexit and America’s most recent election). These situations showed just how much exchange rates can fluctuate, having a huge impact on businesses around the world – particularly those serving international markets. Yes, price setting and choosing a payment solution are important considerations, but one of the most challenging aspects of taking an online business global is navigating the world of currency rate fluctuation. Let’s face it: monitoring exchange rates is tiring and takes up a lot of time. Plus, it’s incredibly difficult to predict what’s going to happen (we only have to look back at 2016 to see that in action). But while these fluctuations are difficult to guess, they can drastically affect a businesses’ expenses and profit. For example, if you’re trading in US dollars but serving markets with more unpredictable currencies, you could end up with a much smaller margin (and, even worse, a loss). By offering local payment options, you can alleviate the stress of having to check up on different currencies and leave your payment solution to do the hard work. You’re also encouraging potential buyers to stay on site. Because one third of people shopping online leave your site to browse other prices in their own currency, many of whom don’t ever come back. When you implement local payment options, you’re eliminating the need for buyers to go and check how much they’re actually paying in their own currency, providing them with a solid reason to stick around and buy from you. Today, online, contactless, and mobile payments accounted for $3.6 trillion in transactions globally – that means they’re not transmitted via credit or debit card. The vast majority of businesses today accept credit and debit card payments because these are the methods their customers prefer. At one point in time, these payment methods were new and businesses had to navigate the pros and cons of using them – just like they’re having to do now with alternative payment methods. But why are alternative payment methods on the rise when credit and debit card payments are still so popular? Think about it: if you’re only ever offered the chance to pay in one way, it’s likely you’ll start favouring that way because you’re so used to it. That’s what’s happened with credit and debit cards, but things are changing. Consumers are beginning to realise that there are other ways they can pay for their goods online; ways that might be better for them and the businesses they’re buying from. In the EU’s largest e-shopping nations, there are several local payment methods that eliminate chargebacks which are rising to the top. These chargeback-free methods are great for online businesses dealing in digital goods and high ticket items because they take away the risk of high refunds. It goes without saying that, by adding local payment options, you’re going to open up your business to new markets within those local currencies. There are numerous countries around the world whose populations are eagerly awaiting goods from overseas. This might be because they don’t have access to said goods in their own country or, if they do, they’re selling at a higher price point or the quality isn’t as good. This idea is accelerated by the super-speedy rate at which the internet is growing, as well as the increase in younger populations and their ability to see the world without borders. Banks and traditional payment methods take time to tap into these markets and get it right, but connecting with these new customers quickly can only be a big win for online businesses, which is why offering local payment options is vital if you want to start making connections with them. So, yes, the internet has helped make the world feel connected in more ways than one, but people still want international online stores to look and feel like a local one. Because it’s comfortable, and it’s easy for them. As humans, we’re drawn to familiarity, and by providing an experience that the consumer is used to, you’re giving them the tools they need to buy from you. Around 20% of people abandon their online shopping carts because the price is presented in foreign currencies – that’s one-fifth of potential buyers who are turned off because of something that’s so easy to tweak. Add to this the fact that many banks around the world whack a fee on transactions made in different currencies, and you have a no-brainer answer to why local payments are important. If a customer in the US knows they’re going to have to pay an extra charge to buy your product in GBP, they’re more likely to navigate away from your site and go and buy somewhere local. On the other hand, if you offer the price in USD, they’ll not only feel more comfortable making that purchase, but they won’t incur any additional charges when it comes to currency exchange – it’s a win-win for them. Going global is on the mind of many businesses despite the findings in a JP Morgan Chase Business Leaders Outlook report. The study found that around 49% of executives are feeling pessimistic about the global economy. But this is in sheer contradiction the cold, hard facts that companies are increasingly expanding into overseas markets – a trend that is growing year on year. Last year, 60% of mid-size US businesses made sales outside America, while many other countries followed suit. Over the past few years, we’ve seen the world have a rocky old time. When businesses limit themselves to one market, they limit themselves to the political and economical climate of that market – which, if 2016 was anything to go by, can change at the drop of a hat. Staying in one market can severely limit online businesses. 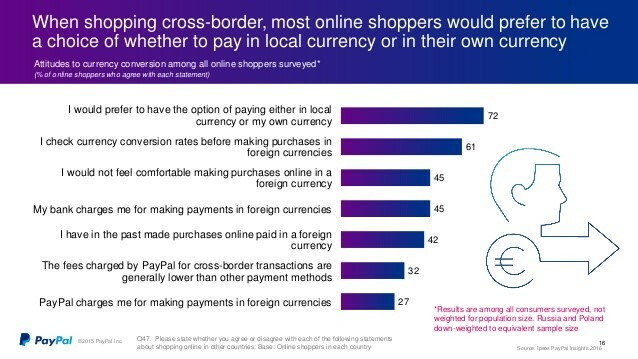 When cross-border eCommerce is on the rise, people around the world are actively looking for products outside of their country, and businesses can tap into this need with a simple solution – local payment options. Going global requires some serious forethought, but it’s getting easier by the day for digital product businesses. New tools and solutions are popping up each month that make the process of selling your goods around the world more seamless than ever. And, by offering local payment solutions, you’re endearing customers to your brand, reaching new markets, and getting ahead of the game – all very important things to consider in this day and age when currency exchange can fluctuate by the week. What are your plans for going global? Will you implement local payment options? Let us know in the comments below!